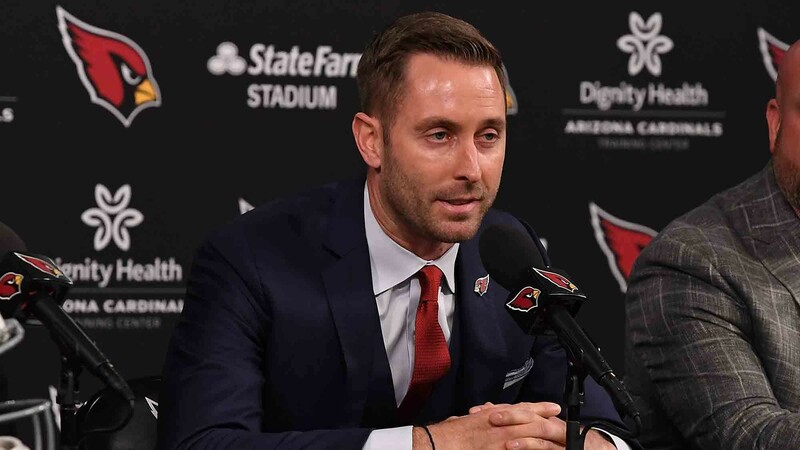 New Arizona Cardinals head coach Kliff Kingsbury also has a new home. He recently scored a winning mansion in Paradise Valley, AZ, for $4.45 million, AZ Central reported. Welcome to your new digs, coach. 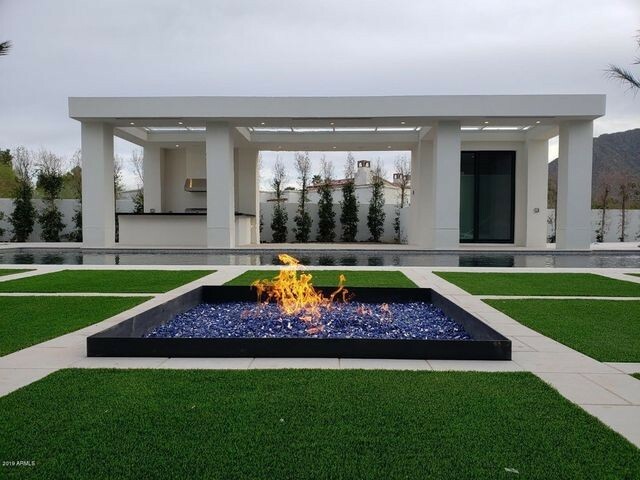 Encompassing 7,200 square feet on over an acre of land, the contemporary custom build was completed in 2017. It was last listed for $4.75 million, and Kingsbury was able to shave a little off the asking price. Hired as the Cards head coach in January, the 39-year-old Texas native recently made the move to his new town and team. The posh place looks like a touchdown. The sleek architectural designed by Ilan Pivko offers views of Camelback Mountain from every room in the back of the house. The highlight is the resort-style backyard with a pool and spa. 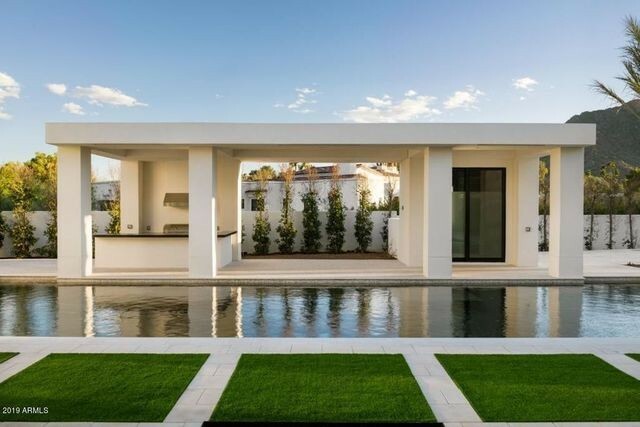 The landscaping features palms, grassy lawns, and new plantings. As for the interior, the listing details noted a “palatial” master suite with an “over-the-top” bath. In addition, the layout includes a large gourmet chef’s kitchen with an island and high-end appliances. Another selling point: The new build, located in the wealthiest area of Arizona, is not far from State Farm Stadium, convenient for home games. Before heading for the desert, Kingsbury was the head coach of his alma mater, Texas Tech University, from 2013 to 2018. Previously, he served as offensive coordinator and quarterback coach for Texas A&M. As a college quarterback, he held many NCAA Division I passing records. 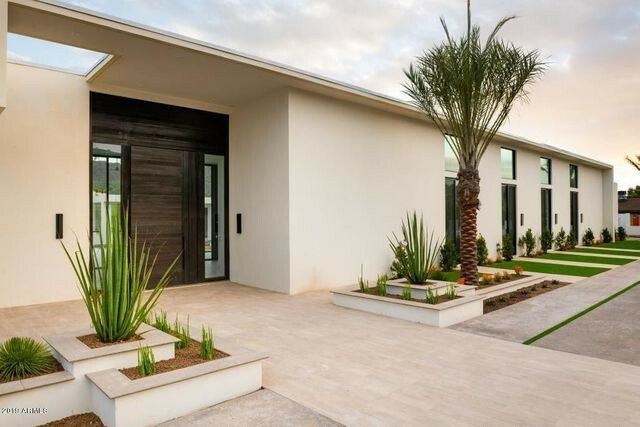 The post Arizona Cardinals Head Coach Kliff Kingsbury Buys $4.45M Arizona Mansion appeared first on Real Estate News & Insights | realtor.com®.